World Oral Health Day is celebrated globally every year on 20 March to highlight the importance of oral health for a healthy body.  To help you take care of your oral health and protect your mouth and body, we would like to offer you Two (2) FREE Movie Tickets OR Braun Electric Toothbrush if you schedule an appointment and come in to have your regular maintenance 6-month recall with a Scale and Polish. We have limited appointments available so don’t miss out on this brilliant offer. As part of our World Oral Health Day promotion we are also offering special discounts through Smile Deals® on many of our services. Discounts valid until 31/03/19. Copyright © 2019 Smile Design Studio except where otherwise noted • Content and Search Marketing by Physicians Marketing Solutions, Inc. Fill in your appointment details and the Smile Deals offer(s) you are interested in. You will then receive a confirmation Email and SMS gift code. Free gift offer is for New Patients only and is given on the day of your appointment. What Smile Deals® are you interested in?